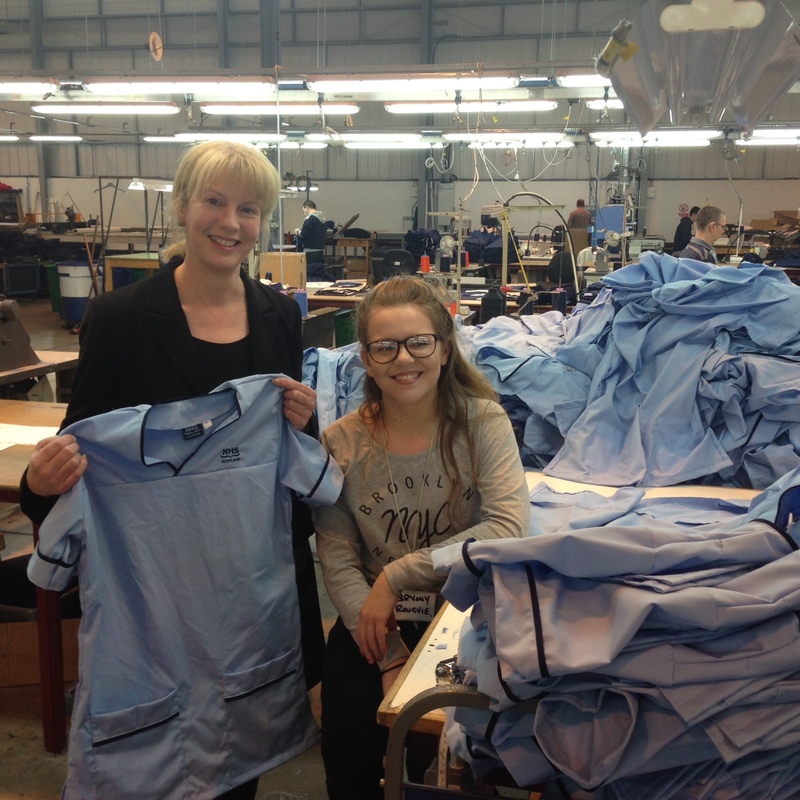 On the 18th November 2016, The Cabinet Secretary for Health and Sport Shona Robinson, along with NHS NSS National Procurement director Jim Miller, visited Haven PTS factory based in Larbert in Glasgow. She went there to meet with a number of the members of the Haven PTS team who manufacture NHS Scotland uniforms at the factory. Jamie Lawson General Manager from Haven PTS said “All of the staff here at Haven PTS were delighted to welcome and receive a visit from both the Cabinet Secretary and the Procurement Director today.